My life has dramatically changed over the past six months, especially with happily having my youngest daughter residing with me. Included in this deal is inheriting a 5-year-old Himalayan cat named Coco with a nickname of ‘Old Man’, due to his snoring. 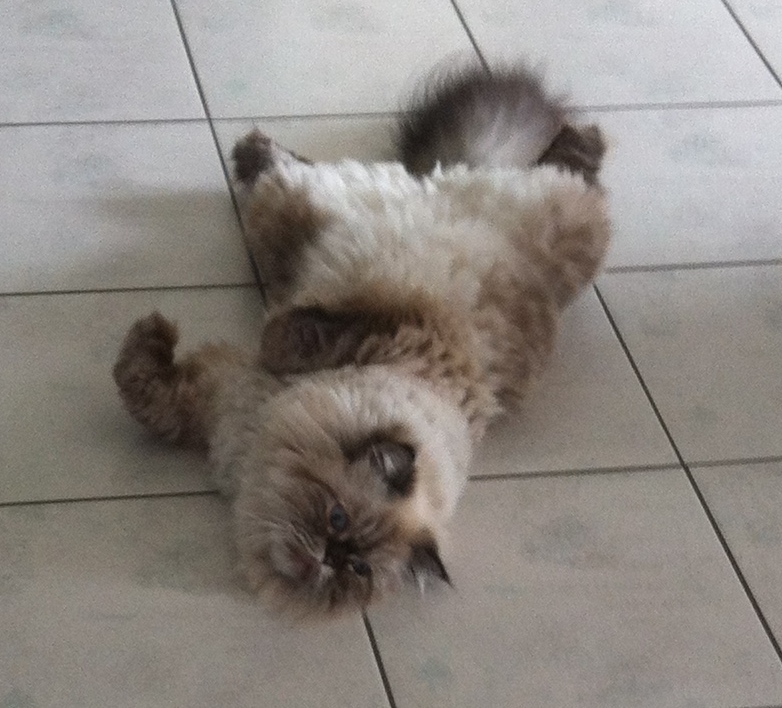 Over these last six months, there hasn’t been a day go by without experiencing the unusual personality of a Himalayan cat. One minute a sloth and the next minute full of mischief and charging up and down the halls, in and out of the rooms, hiding in the cupboards or underneath beds, most of all we are entertained by his mischief antics. It is like having a naughty little child, who actually knows that what he is up too is sometimes a no, no! As soon as I commence preparing the evening meal especially if there is meat or chicken on the menu, Coco comes bouncing out of where ever he is lazing about and sits right where you are trying to prepare the meal. With his gorgeous blue eyes looking up at you with that “what about me” look on his face. Who would not give into him and say, “ok here is some”. Within seconds of devouring the food, he is back by your side wilfully gazing at you again! Watching this little cat relax back on his hind legs getting ready to pounce at trying to get something off the coffee table or wilfully jump onto the ‘no-go kitchen bench top’ is so funny, especially when he charges off into the opposite direction after he has been caught. Giving you the impression he didn’t do anything wrong, yes right! Coco has recently taken up a new role of guarding the front door when the main door is left open. He just sits there gazing out of the screen door, watching everything that happens, cars driving by, people walking past and insects flying around. Sometimes he has a visiting neighbour’s cat, and then he does his little cat-singing episode, which is a bit eerie! If anything other than a cat comes directly to the front door he scurries off and generally hides underneath a lounge. Our big brave guard cat is not so brave after all! Being entertained by a hyperactive/sloth cat called Coco is something that gives me a lot of pleasure and most of all it is free entertainment. What a hoot animals are. Change your life. Great story.